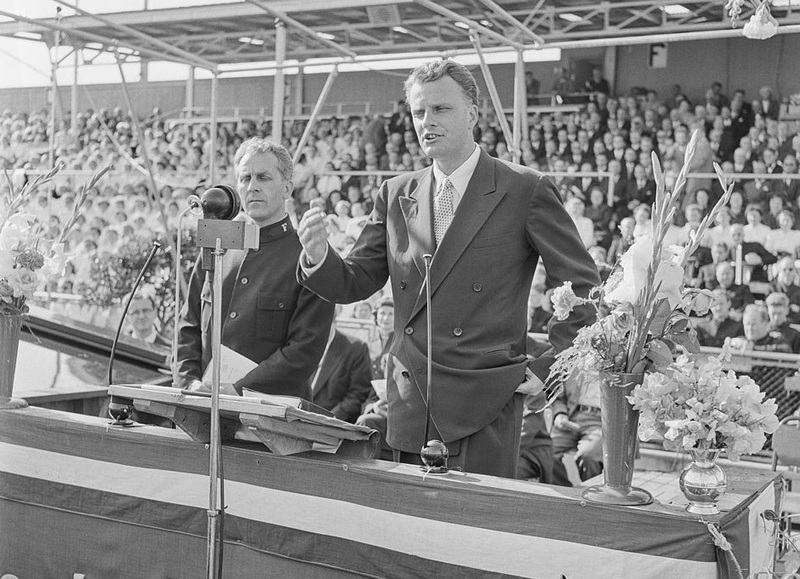 PHOTO: Billy Graham hosting evangelistic crusade. KINGSPORT, TENN., Oct. 27, 2017–More than 300 people from across the region gathered on Thursday night, Oct. 26, in Kingsport, Tenn., to officially launch planning for the upcoming Tri-Cities Region Will Graham Celebration. The multi-day evangelistic outreach, which will be held April 27-29, 2018, at the Freedom Hall Civic Center in Johnson City, Tenn., will be free of charge and will feature music from Christian artists and encouraging messages from Will Graham. Graham is the grandson of well-known evangelist Billy Graham, and son of Franklin Graham. The Tri-Cities Region Celebration effort will be guided locally by Jim Harlan, in cooperation with the Billy Graham Evangelistic Association and a partnership of area churches and leaders. A nearly continuous stream of activities and planning will take place across the region between now and the Celebration in April, including prayer rallies, classes, and community gatherings. Visit www.tcrcelebration.org and www.facebook.com/tcrcelebration for details and information. Graham’s 2017 schedule has included domestic outreaches in Alabama and Indiana, and international efforts in Mexico and Romania. His last event of the year will take place Nov. 4-5 in Charlottetown, Prince Edward Island, Canada.